Earlier this summer, we shared an update about our ongoing work for the NPR App and invited app users to help us test and develop new features. Many of you responded, and we're incredibly thankful to those who did. Inspired by your insights and suggestions, we've been hard at work over the past few months improving the app experience, fixing bugs, and developing some features that we think you'll be excited about. 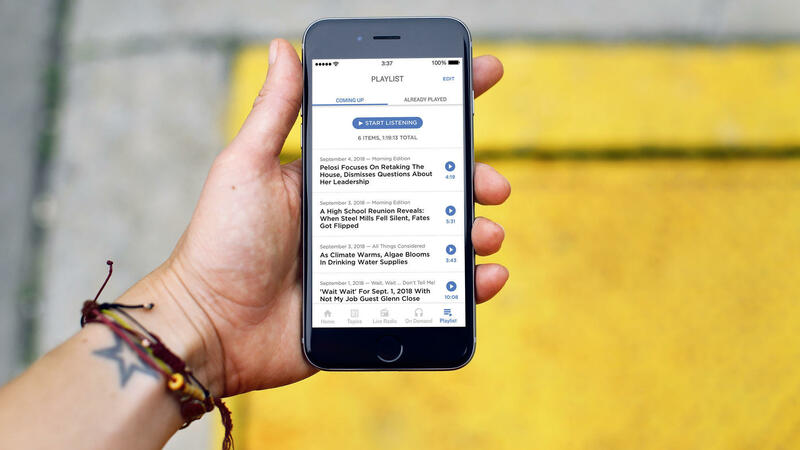 Today, we're announcing the playlist feature in the NPR App will return. We know that this feature is a favorite among our most loyal listeners, and we are eager to share this new version with you this fall. Your feedback has guided us throughout the process of creating a newly designed experience that we are confident will meet your needs today and provide a foundation for more innovation in the future. The new playlist will allow you to curate your own listening queue from individual stories, segments from programs like Morning Edition and All Things Considered, and full podcast episodes. It will also be easy to edit and re-order your queue. A sincere thank you to everyone who shared feedback or volunteered to be a part of user testing. We look forward to working with you more in the future as we continue enhancing and improving the app based on your needs. We have a bit more work to do before the new Playlist is officially ready for launch, but we're excited to get it into your hands this fall, and we couldn't wait to let you know that it's on the way.